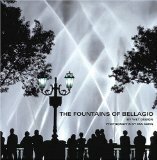 The Fountains of Bellagio were designed to be superlative, and not just in size. The people creating them wanted to bring sophistication and stateliness to a place better known for glitz, to embody the full spectrum of culture, from Technicolor musicals to Italian opera. Laughlin is located in the southern tip of Nevada, along the Colorado River and just across the border from Arizona. Laughlin is, in many ways, the way Las Vegas used to be. The rooms are generally inexpensive, the resorts are not nearly as fancy, and the food is usually very affordable. The affordability of Laughlin is one reason Laughlin is so popular among retirees. Additionally, the many RV parks in/around Laughlin bring in many people, too. 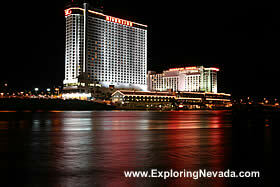 Below are the varoius hotels and casino's in Laughlin that are available for online booking.